The re's nothing so irresistible as puppies, The ir energy, inquisitiveness, and paws The y'll be a while growing into... From The Puppy Love Series, celebrate with us The joy of puppies! 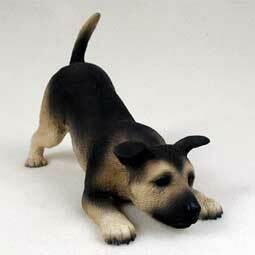 All Dog Figurines are individually packaged. Made from a cold cast stone resin and beautifully hand painted.